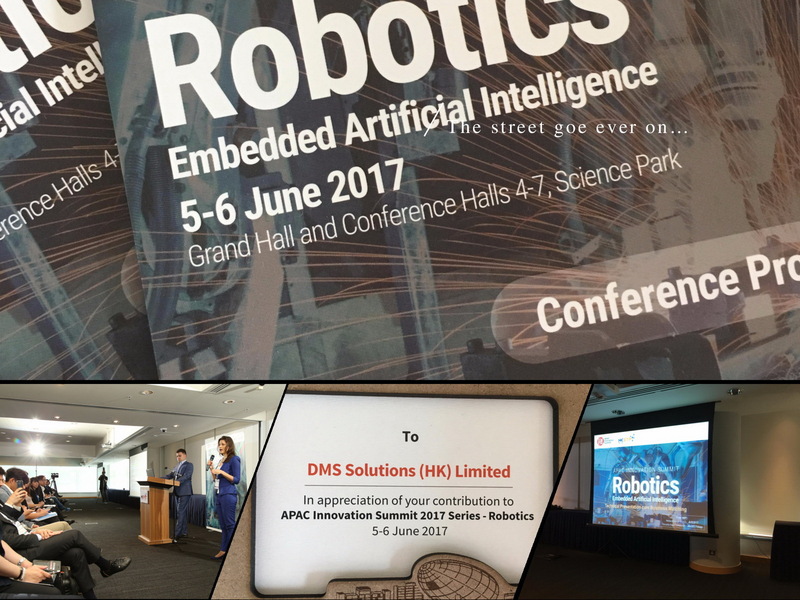 «DMS Solutions» presented its novel ideas applying Robotic Process Automation at AIS Robotics APAC Innovation Summit | DMS Solutions Co.
On June 6, 2017 "DMS Solutions" participated and presented its novel ideas applying Robotic Process Automation (RPA) at APAC Innovation Summit - Robotics that took place in Hong Kong. This was very exciting event organized by HKSTP (The Hong Kong Science and Technology Parks Corporation), that brought together world cast leading experts to talk about recent developments in space of Robotics and Artificial Intelligence. Willing to know more about RPA and Advanced Robotics, please contact our offices in Hong Kong or Ukraine! To know more about - AIS Robotics APAC Innovation Summit.